India has always been among the successful countries when it comes to Miss Universe pageant. The nation maintained a streak of continuous placement from 1992 to 2002. Also, the delegates from India are mostly well-groomed. Venezuela’s national director Osmel Souza once commented that if a Miss India is in the final five girls, she is going to win. Miss India winners are always impressive speakers. Whether they place or not, most Miss Indias of recent years have done wonderful jobs in representing our country at the Miss Universe pageant. Let us have a look at girls from the past decade. Vasuki Sunkavalli won I AM SHE 2011 fair and square. Her answer in the final round was unbeatable. She was also good in the swimsuit round. In a relatively weak batch for a national pageant, she won with all honesty. In Miss Universe, she actually pulled off a decent performance in the preliminaries. If Priyanka Chopra or Parul Duggal was sent, it could have been better though. Amrita Thapar won Miss India 2005 with her intelligence and positive presence. She was fair, tall and full of energy. At Miss Universe pageant in Thailand, she was considered among the most intelligent girls in the bunch. 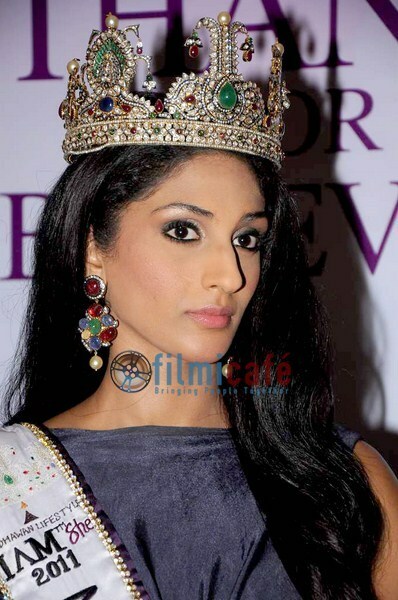 Ekta Chowdhary was well-received by fans when she won Miss India 2009. The reason was that she was a successful model even before Miss India. She looked good and her evening gown presentation was amazing during Miss India final show. At Miss Universe, she was amazing in the evening gown round of the prelims. The way she carried her gown was awesome. Ushoshi Sengupta was the first I AM SHE winner, in 2010. Her final answer and crowning moments were very touching. At Miss Universe, she gave her personal best. She wore a business suit in prelim interview which set her apart. Her body was nice during the swimsuit round. Simran Kaur Mundi was well-received internationally after she won Miss India 2008. She created stir during the Miss Universe pageant by her success in various pre-final events. She was a hit in Ao Dai contest, swimsuit contest and even National costume contest. She was among top contenders for the crown, as per many international websites. Shilpa Singh replaced Urvashi Rautela as I AM SHE 2012 winner. She gave good performance during prelims due to her presentation skills and confidence. Her placement in the final show was a sweet surprise. It was her sincere and genuine efforts which lead her to achieve success. She deserved it. Neha Kapur was a famous name even before Miss India 2006. She won photogenic and fresh-face awards and easily won the final pageant too. At Miss Universe, she attracted a lot of attention due to her stellar attitude. She was at the top of many lists and gave a good performance in prelims, thanks to her confident presentations on the stage. She will always be known as the girl with very high X-factor quotient. Puja Gupta won Miss India 2007 due to her magnificent beauty. She was a standout in Miss Universe too. One of the judges blogged about his liking for Miss India after the final show. It was quite good to see her place and even clear swimsuit round in final show. She was nice in evening gown round too. Although she could have walked with more confidence, but anyway she did look really pretty overall. Tanushree Dutta was a surprise winner in Miss India 2004 but later she proved why she won. She was very confident and always very prepared. She did quite good in Miss Universe prelims and made it to the top fifteen during final show. Her sultry introduction was also noted by many. She did very good in evening gown round with her glittering dress and dazzling ear-rings. Her athletic body helped her give a good swimsuit presentation. Overall she was impressive and adorable. Manasi Moghe was India’s bet at Miss Universe 2013. She made a good impression in the pageant, but her break-through was the impressive prelim performance. She looked like an angel with the million-dollar smile in both the rounds. Her attitude screamed royalty and optimism. She obviously made the cut in the final show and impressed everyone in swimsuit and evening gown rounds. Many of us feel that she could have won Miss World contest had she been sent instead of Navneet. In any case, the girl made a very good name for herself and was frankly an easy choice for the top spot. She is just too good to be ignored! Indian Princess Season 5 is round the Corner..!!! A person necessarily lend a hand to make significantly articles I would state. That is the first time I frequented your website page and so far? I amazed with the research you made to make this actual post amazing. Magnificent job!